Audi of America’s refreshed A3 Sportback e-tron is poised to continue to bring new owners to the electric plug-in hybrid family. The compact vehicle in the A3 model-line combines performance with impressive efficiency, and now offers even more technology, for a premium driving experience that is truly Audi. Four 2018 Audi models – the Audi A3 Cabriolet, A3 Sportback e-tron, TT Coupe and Q3 – are being honored as leaders in their segments by the Women’s Choice Award at the 2017 Los Angeles Auto Show. Audi of America?s refreshed A3 Sportback e-tron is poised to continue to bring new owners to the electric plug-in hybrid family. The compact vehicle in the A3 model-line combines performance with impressive efficiency, and now offers even more technology, for a premium driving experience that is truly Audi. Audi of America?s refreshed A3 model line continues on its path of offering a strong entry to the Audi premium lineup for 2017. 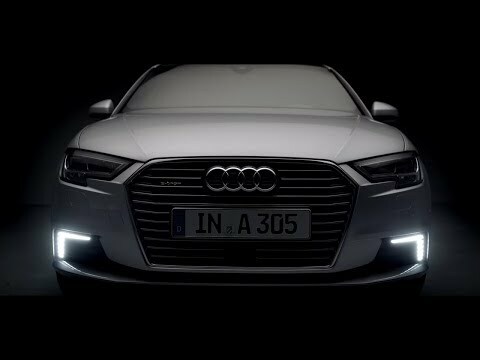 With a redesigned exterior, expanded suite of driver assistance systems and increased technology offerings, the updated A3 family vehicles offer the performance of an Audi in a fun-to-drive, compact package.